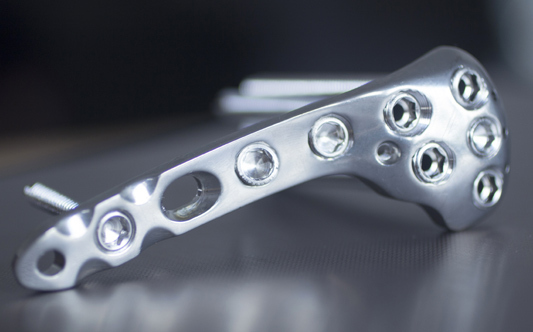 Medical machining is focused on providing the highest level of spatial accuracy and surfacing to industries such as surgical implants, orthotic devices and medical instruments. Products are often characterized by small series and large amount of design work and validation per object. Our goal is to assist our customers in speeding up the process from need to solution. For each individual case, we tailor a plan based on the customer’s request regarding reversed engineering, design, prototyping and manufacturing. Please contact us to request a tailor made solution for your specific needs.